Installing tiles is a long and hard process, as grout particles and dust settle into the grout and dull the flooring’s finish. Cleaning the porcelain regularly is key to keeping your floors clean. You'll want to cleaning once the grout dries using warm water and a mild soap. This will get rid of any soil in the grout and restore the porcelains shine. Dirt and dust can stick to tile, just like any other hard surface flooring. To keep your porcelain looking clean, sweep or vacuum tile surfaces at least twice a week. This will prevent soils from sticking to the porcelain, so you can prevent staining. Different hardwood flooring and carpets, porcelain tiles don’t require any specialized cleaning chemicals to clean the floors and to remove soils. In fact, many of these chemicals can damage the finish on the tile, leaving you with dull and chalky porcelain. All you need is warm water and a mild oil-free detergent. 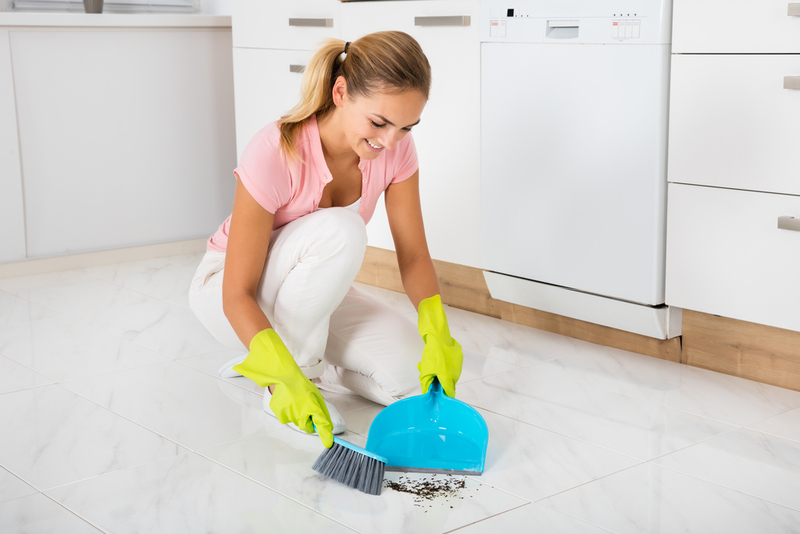 A few drops of mild detergent in a bucket of water should be enough to mop your porcelain flooring. Stains are common, especially in the kitchen. If you see a stain on the tile, don’t panic. Instead, use an all-purpose floor cleaner to wipe it away. Look for a product with an oil-free formula, so it doesn’t leave a cloudy residue behind. Acid chemicals are theist thing you should ever put on porcelain floor its big no no. Acids can damage porcelain tiles and cause the grout to come apart and dissolve or crumble. If you need to deep clean the grout and tile, call TLC Carpet Care in Castsle Rock to recommend a product designed for porcelain surfaces.